Assessing metal concentrations in roadside soils requires a better understanding of the extent to which they are affected by different environmental factors such as soil texture, depth, pH, runoff concentration, and precipitation. 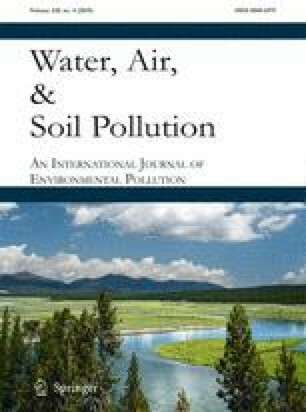 Monthly data of dissolved Cd, Ni, Cr, Pb, Cu, and Zn concentrations in three different roadside soils (sandy loam, gravel (0–32 mm) and a mixture of sandy loam and gravel) were measured during a 2-year lysimeter field study at different depths. The data was used to assess the variation of trace elements and how they were affected by environmental factors. For data interpretation, generalized additive mixed models (GAMMs) were used to explore the complex behavior of metals in heterogeneous soils by detecting linear and nonlinear trends of metal concentrations in the soil solution. As a result, the modeling approach showed that Cd, Ni, Cr, Pb, Cu, and Zn concentrations are functions of different environmental variables, which have either linear or nonlinear behavior. All investigated metals showed that pH could explain their variation. With exception of precipitation, Ni and Cr variations can nearly be explained by the same environmental factors used in this study (time, pH, infiltration volume, roadside soil type, runoff concentrations, and depth). During the study period, we found that Zn variation can be explained by its nonlinear relationship with all the significant studied environmental factors. As the depth increases from the surface to 30 cm of depth, the metal concentration of Cd, Ni, Cr, Pb, and Zn increases. Surprisingly, the roadside soil consisting of gravel has the lowest organic carbon and showed the lowest median concentration of Cd, Ni, Pb, Cu, and Zn at 30 cm. Moreover, the model showed that the surface runoff volume has no effect on the metal variation in the soil solution. Basem Aljoumani and Björn Kluge contributed equally to this work. Capsule: We were able to explore the complex behavior of metals in heterogeneous soil systems by detecting the linear and nonlinear dynamics of metals in soil solutions. The online version of this article ( https://doi.org/10.1007/s11270-019-4137-6) contains supplementary material, which is available to authorized users. The authors express their thank to the German Research Foundation DFG (GRK 2032) for funding project of Dr. Basem Aljoumani as part of the research training group “Urban Water Interfaces” as well as the Federal Highway Research Institute (BASt) and Dr. Moritz Werkenthin for providing us with data of the research project (FE 05.0160/2010/MGB). R Core Team. (2017). R: A Language and Environment for Statistical Computing. Vienna, Austria: R Foundation for Statistical Computing. Retrieved from http://www.R-project.org/.